Please see the attached document “Thriving in Place Downeast – By The Numbers”, a summary of projects and activities conducted in the first two years of our 3-year Thriving in Place grant. These partners and collaborative projects will be the foundation on which we hope to build deeper and more extensive supports for an age-friendly community. The TiPD initiative is focused on the 9 towns of the Blue Hill Peninsula and Deer Isle/Stonington and our goal is for all of these towns to join the Network of Age-Friendly Communties in a regional approach. 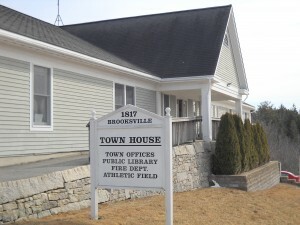 The Brooksville Selectboard appreciates the strategic value of a regional approach, which understands each town’s unique character, while recognizing the importance of collaboration in designing and implementing age-friendly activities in our neighborhood of rural towns. In the course of our community assessment, we hope to revisit the community interviews and focus groups that informed the planning for our TiP grant, evaluating our successes and developing strategies for filling additional or continuing gaps in our community’s needs. We hope to expand our collaborative partners to include, not only the town government, but also emergency responders, faith communities, and others.